NeighborhoodScout provides instant, one-stop access to crime and real estate data at the neighborhood level, revealing locations with the best investment opportunities. Worcester, Mass., January 23, 2018 — NeighborhoodScout announced that its reports now contain gross rental yield data for every U.S. neighborhood, at the block group level (10x more granular than the average ZIP Code). NeighborhoodScout is a web-based platform with custom analytics and reports for investing, appraising, and financing real estate. The combination of gross rental yield data with NeighborhoodScout’s precision crime and vacancy rates/trends data provides a one-stop solution for evaluating properties in the neighborhoods that best fit investors’ financial profiles. 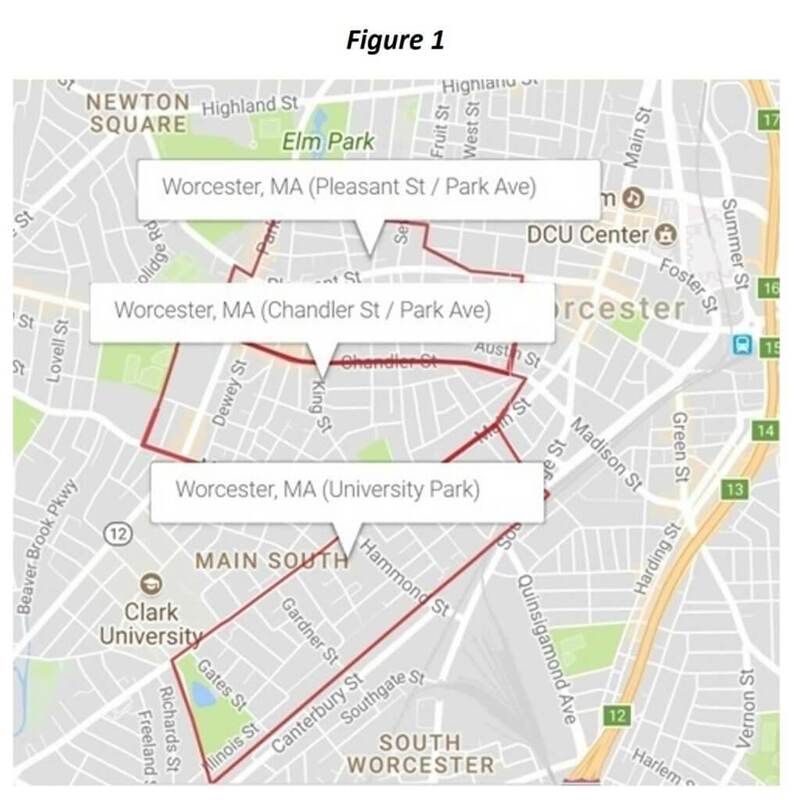 For example, consider three directly adjacent neighborhoods in Worcester, the second largest city in Massachusetts (see Figure 1). Despite their proximity to each other, these neighborhoods vary in terms of gross rental yield – and crime (see Figure 2). The Pleasant St./Park Ave. neighborhood’s gross rental yield is among the lowest in the metropolitan area (5.65%). In contrast, nearby Chandler St./Park Ave.’s 12.38% gross rental yield is among the highest in the metropolitan area. However, NeighborhoodScout’s crime data, shows that this neighborhood also has one of the highest total crime rates per 1,000 residents in America. To the south is the University Park neighborhood. While its gross rental yield isn’t quite as high as Chandler St./Park Ave., University Park’s total crime rate per 1,000 residents is lower. As a result, of the three neighborhoods profiled, NeighborhoodScout data suggest that University Park would likely offer the best net rental yields despite a lower gross rental yield. Visit NeighborhoodScout to view a sample report and subscription options. For more information, contact info@neighborhoodscout.com.